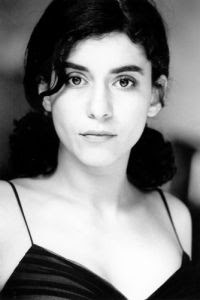 Lubna Azabal is of Moroccan decent (born in Europe) and often acts in both English and French. She is an actress that I first saw in the film "Viva Laldjerie," which had strange but compelling aspects. It's worth watching. She also had a role in the award-winning film "Paradise Now." QATFYG: Have you seen many films from Muslim world? وليبارك الله لك ، بغض النظر عن العقيدة التي عليك اتباعها. If you speak Arabic, sorry for the bad translation: Basically saying.....Peace to all, regardless of your faith. oh wow, it's Ramadan already?